If I arrive in Lisbon during the weekend, will there be anyone to help me from the University? Who can help me find a room when I arrive? When should I start to search for a Room? How long will it take to find a room? Where Should I stay when I arrive? When should I start to look for a room? What should I think about when picking a room? Can I stay at the university residence? Who should I contact? Besides the residence, what other housing options are available? Can I rent an apartment for myself? Is it expensive? I don’t speak portuguese! How do I search the internet for an apartment/room? I don’t speak portuguese! Is there a Portuguese course for foreign students? When? How much does it cost? When you choose your date of arrival in Lisbon, you should make sure that it is not a Saturday, Sunday or public holiday since it will not be possible to contact any member of the University staff. Choosing where you live while studying in Lisbon will greatly influence your experience as a foreign exchange. Where to live during your exchange abroad will be one of your earliest concerns when planning your visit. The IST Mobility Office may help you find somewhere to live. In Lisbon, few students are fortunate enough to the opportunity to stay in University residences because the offer is extremely limited. The majority of the students live in houses, flats (apartments) or rooms in private sector accommodation in and around Lisbon within easy walking distance of the Alameda or Taguspark campi and with a regular bus, metro or train link. In general there are student accommodation shortages in Lisbon. The housing situation at IST is very strained so you should start looking into housing as soon as you have been accepted in your mobility programme. One week should be enough time to find something permanent. Check with the mobility Office staff for assistance if you have not made any prior contacts before arriving in Lisbon. We recommend you stay in Youth Hostels for your first days, something temporary for while you look around. There are two Youth Hostels, both located in the Centre of Lisbon, providing excellent lodging conditions. The Lisbon Youth Hostel is quite close to IST. If you decide on private accommodation, the best time to look for available properties is at the beginning of each semester, namely late August or early September or, in late January of early February. Note that the best housing near the university campus will go first. Your budget will most likely determine what accommodation you choose however please keep in mind the room type, the location, the services and the overall total monthly cost. The Mobility Office cannot guarantee accommodation for international students (limited to ERASMUS MOBILITY and SMILE Programmes and priority is given to students that need a visa to enter Portugal at the IST Students’ Residence “Residência Eng. Duarte Pacheco” at Parque das Nações. Since there are only 20 beds available for foreign students, they will be lodged on a first come, first serve basis. Unfortunately, your chances of getting a room at the IST student residence are minimal. Renting your own furnished apartment (ranging from 500€, one or two bedroom or studio), is an option when shared by two or more students. Easy to do for students staying from Sept to July because the rental contact has a minimum duration of 6 months). Rooms with other students are your best option because they provide an opportunity for you to meet people in the same situation as you. Proximity to the IST Alameda Campus, should also be considered, especially if it is within walking distance from your campus. In general, Lisbon is a safe place to live but beware that there are some neighbourhoods that are not recommended. Please ask for advice. Wherever you stay, be prepared to share facilities like a kitchen, bathroom or a living room. Ideally one bathroom should not be shared by more than two or three people. Be prepared to pay an additional fee if you have a private bathroom. Are there any unexpected expenses to be paid at the end of the month, besides the room rate? Note that in general, the utilities are not included in the price and will represent an expense at the end of the month (water, gas, electricity, internet, cable TV for international channels, cleaning services, etc) of approximately 50€ additional). If you decide to go private, inquire at IST because they will most likely recommend you trustworthy people. Note that real estate agents (for private apartment renting) cannot charge you any money for seeing apartments. You will however be required to pay at least two months in advance. What should I bear in mind when picking a room? See if there are potential housemates. How far is the walk to campus (if you are in private accommodation) and is the area safe? Find out are you expected to pay additionally, at the end of the month for external bills, like gas and electricity or are bills included in the price? Find out what chores need to be divided between the housemates or opt for something that includes cleaning. There’s nothing worse than coming home from a long day of lectures to find last week’s dirty dishes still clogging up the sink. Is the room/flat furnished? How long is the accommodation available for? Are bed-sheets and towels included in the price? When and how much should I pay? Rent is normally paid during the 1st week of every month and no later than the 8th, but confirm with the landlord his/her payment conditions. You will normally be expected to pay a deposit (optional and refundable) and one month’s rent in advance (which will be your final month’s fee and nonrefundable) be it for a room or a private flat. Your deposit should be returned to you when you leave the accommodation, so long as you have kept the place in good shape. Expect landlords to deduct at least some of it for cleaning purposes – they will always find something to charge you for. I don’t speak portuguese! How do I search the internet for an apartment/ room? Distrito: Lisboa; Concelho: Lisboa and Freguesia: S. João de Arroios or alto do Pina (Alameda is close to IST). 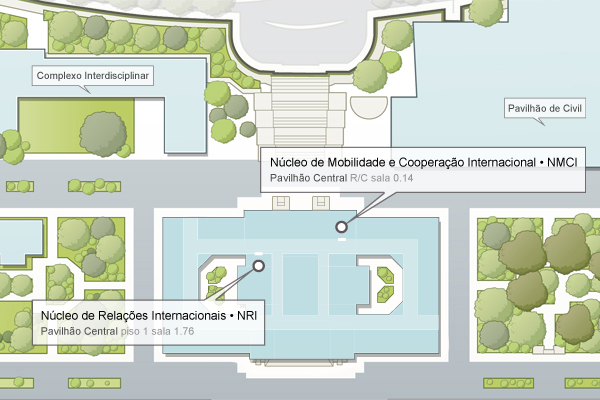 Note when establishing your contacts locally, make sure the apartment is furnished (mobilado in Portuguese). At IST, intensive Portuguese courses for ERASMUS students are organized at the beginning of each semester, namely in October and in March. The course costs 50€. The payment and registration is done upon arrival. Neither Instituto Superior Técnico nor any of its staff members has any authority to make or give any representations or warranty whatsoever as regards the properties listed or otherwise or whether rent levels are accurate. We cannot be held liable for any problem or dispute that may arise because of accommodation, but we are readily available to help with communication between landlord and student. NMCI will in no way be held liable for any sort of problem that may arise with accommodation in Lisbon. Please note that any price that is quoted is merely indicative and in no way binding.